Our Home is ran by Ivorian staff who know the culture and love our children. The Solace Family Home provides sustainable employment to empower citizens of Tanda and surrounding villages. In our Home they receive housing, food, and medical care. Pastor Paul heard about SFH in 2012 through Mike Cousineau and Matt Blair of Solace Church. A team traveled from the US to Côte d'Ivoire to study the feasibility of building the Tanda Orphanage. He was chosen to lead SFH by ensuring compliance with Ivorian laws. In preparation for the home, Pastor Paul was sponsored by Solace Church to follow social worker training for 5 years in Abidjan. Once the Home was closer to construction, Pastor Paul visited the US to discuss the logistics of SFH in 2016 and 2017 with the leaders of Solace Church at the church in Tulsa. Before working for SFH, he was Pastor of the churches of Tanda (1990-1996) and Bouna (1997 to 2000); Director of the Biblical Institute of Bouna (2005-2011); representatives of US NGOs The Hanna Project (2006-2010) and The 1040 Initiative (2011- Present). He was born and raised in Tanda. In 1978 he accepted Jesus as his Savior and the same year received baptism. In 1983, he responded to God's call to serve and enter the pastoral ministry. He has been married since 1994 to his wife and they have 4 children. 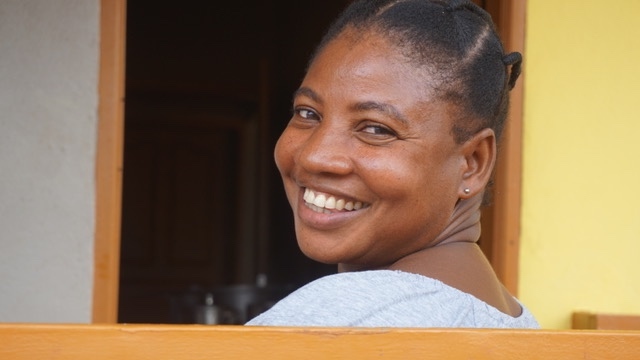 Odile was contacted by Pastor Paul to come supervise the children at SFH. Previously she was a missionary for 9 years with an African organization in the field of Evangelism and planting new churches. She grew up in the village of Koue. She is a widow and mother of three children. Two girls, Leticia (25), Cecile (19) and one boy, Aristide (22). Mama Odille first heard about Jesus from evangelists who came to preach in her village in 2003 and was baptized in 2005. Her life is a reflection of the great work missionaries do. In turn, she is empowering children through the message of the Gospel. She says working at SFH and receiving a salary helps her cope with the financial needs of her children and her own needs. In addition, the work teaches her patience and perseverance. Her favorite parts of the day include moments of devotion with the children in the morning and evening, plus playing games with them. Chantal heard about SFH through Pastor Paul. Before becoming the maman for the boys, she worked for the maternity hospital in the city of Agnibilekrou assisting women with HIV. She grew up in the village of Kanasse. She is married and her husband serves as a social worker serving other children in Tanda. She was led to the Lord by her older brother and accepted Jesus as her Savior in 1992. 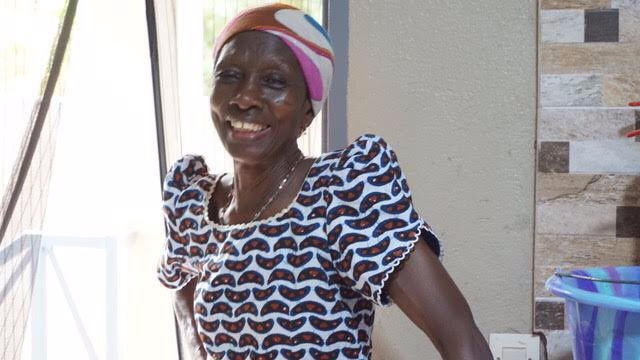 She says, “What pleases me the most is to give the children under my responsibility a Christian education.” She says her work gives her the joy of living and the means to cope with the burdens of life. Her prayer request is that she will know the joy of motherhood. 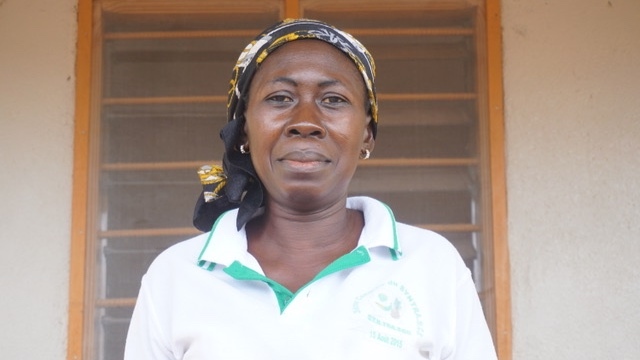 Akoua heard about the SFH through her brother, Pastor Theophilus, who is the Pastor to the church on the same property. She grew up in Kiendi and now lives in Tanda. She has always been a homemaker. She is now a widow and has four children. Her brother taught her about Jesus and she became a Christian in 2005. 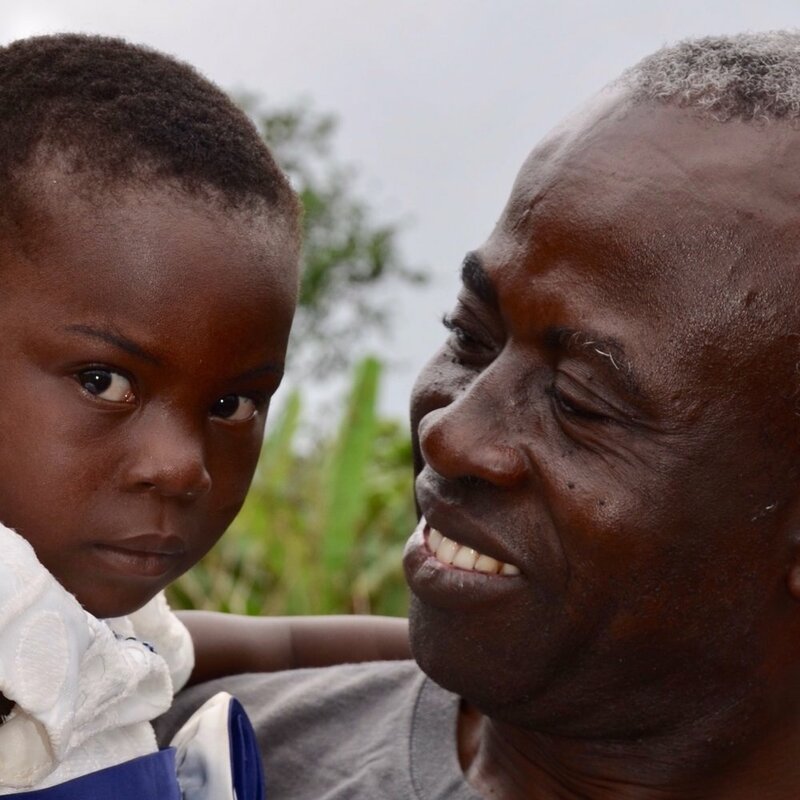 Akoua loves the children and the opportunity to take care of them. This job allows her to take care of herself and pay for the education for two of her children who are at University. Koffi heard about his opportunity from Pastor Mike Cousineau. He grew up in a village named Yamoussoukro and now lives in Tanda. Koffi has an 8 year old son. He became a Christian in 2015 when he heard about Jesus at the market, where he was a trader. Koffi loves his job and is always willing to jump in and help the Jacksons with anything they need. He enjoys doing the yard maintenance and says this job has taught him to love orphaned children. His mother, Akoua, is an aunt in the girls home. 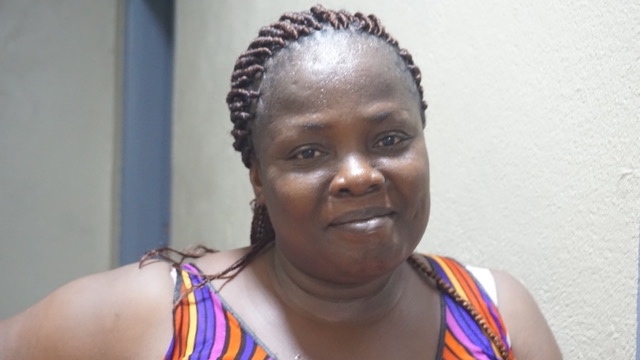 Egbeto serves as one of the guards at Solace Family Home. He heard about the Solace Family Home through Mike Cousineau. Before this position, he was an electronics worker. Can we predict a reason why this job is better than that and gives him an opportunity to live out his faith? Egbeto grew up in Tanda and has been married almost 2 years. He says he loves greeting visitors and giving them information for the Solace Family Home. Egbeto grew up in a Christian home with his mother and father. He asked Jesus into his heart in 1994 and was baptized in 1998.